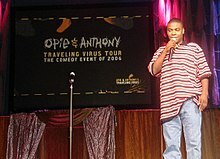 ^ "Review: Tracy Morgan's 'The Last O.G.' is a waste of Tiffany Haddish". USA TODAY. Retrieved 2019-02-22. ^ a b "Morgan lawsuit against Walmart" (PDF). Retrieved 2014-08-08. ^ Feig, Zakk (4 November 2016). 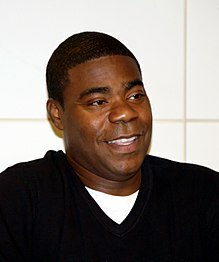 "Tracy Morgan says he forgives driver". Hotnewhiphop. Retrieved 4 November 2016. ^ "Will Forte, Gina Rodriguez and Tracy Morgan to Star in Animated Scooby-Doo Movie (Exclusive)". The Hollywood Reporter. Retrieved 2019-03-02.